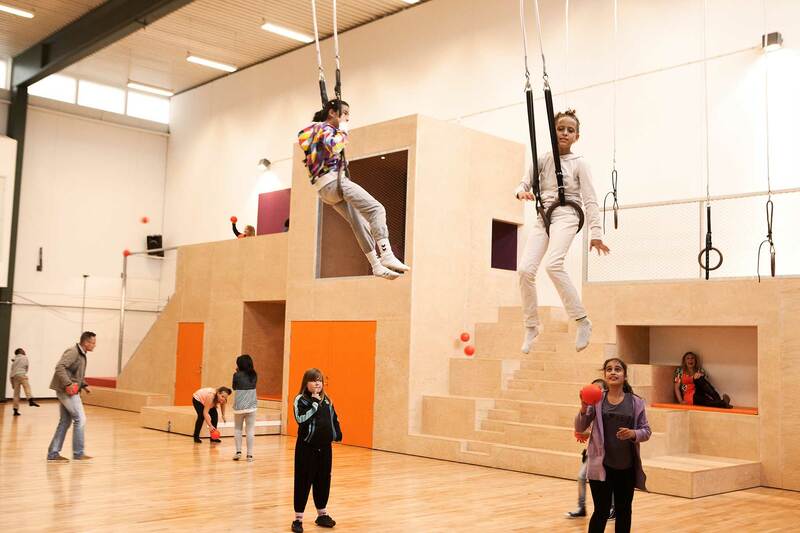 Young children play pirates and swing on the rope over the soft mattress in the tumbling zone, while older children climb the monkey bars and try to get through the vertical maze on the wall of the main hall. 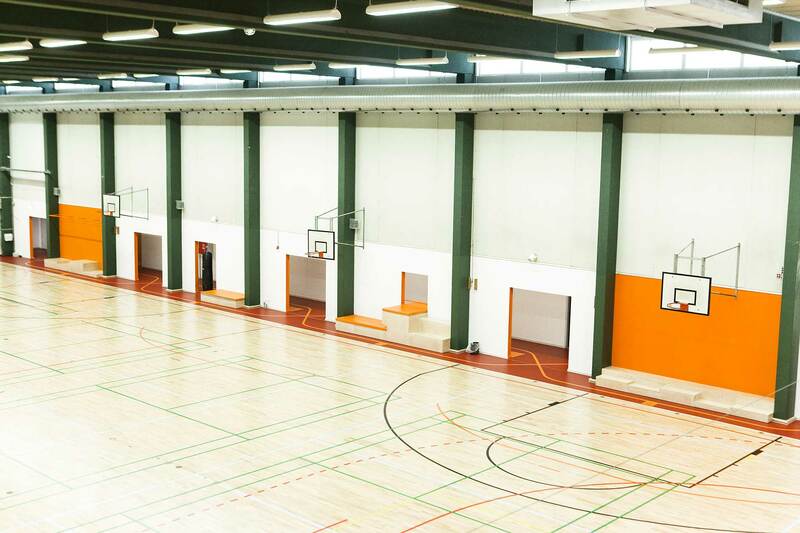 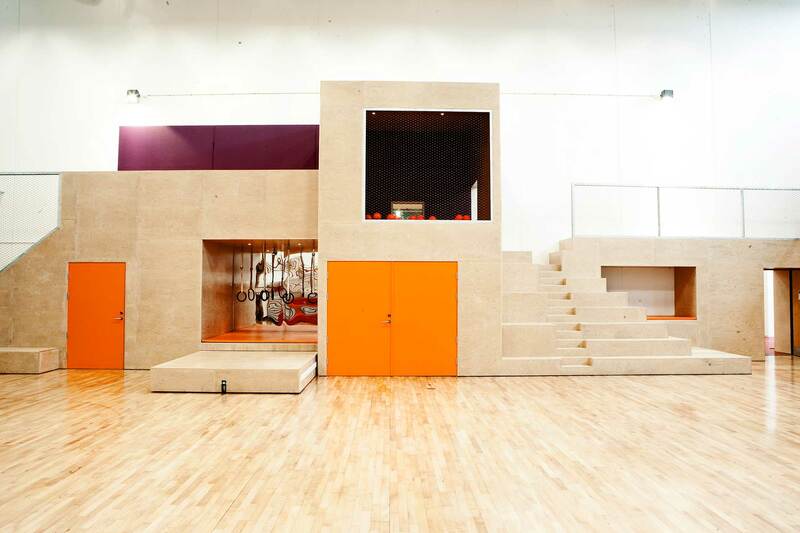 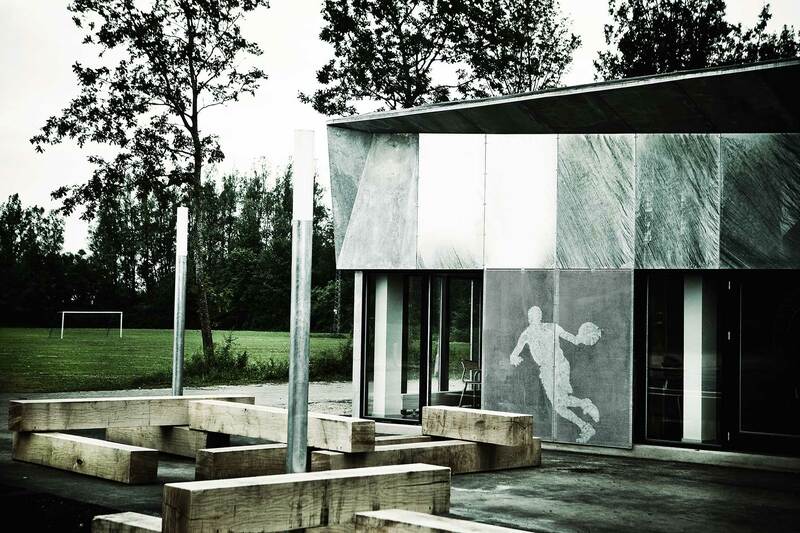 Both young and old users of Tornhøj School hall sweat in the new health and fitness facilities, while the pace is high among the ball players in the halls. 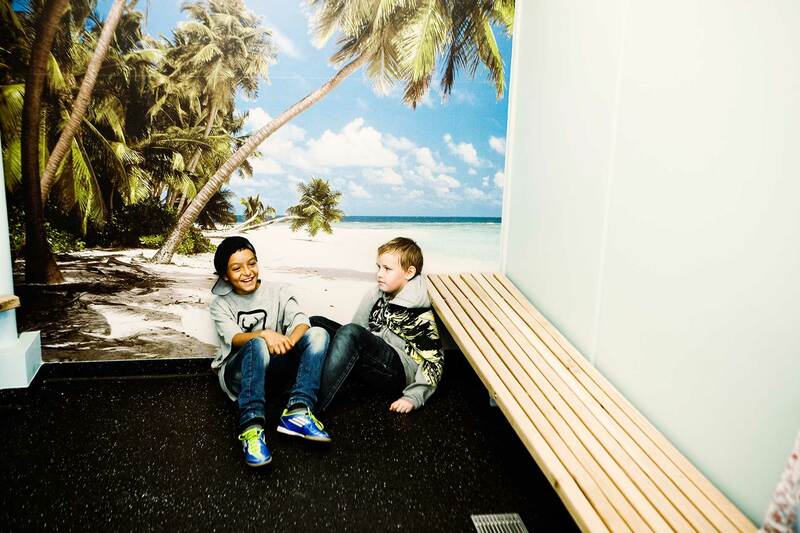 Children and parents relax in the many small niches in the corridor, which snakes through the entire building and opens into the halls, café area and changing rooms. 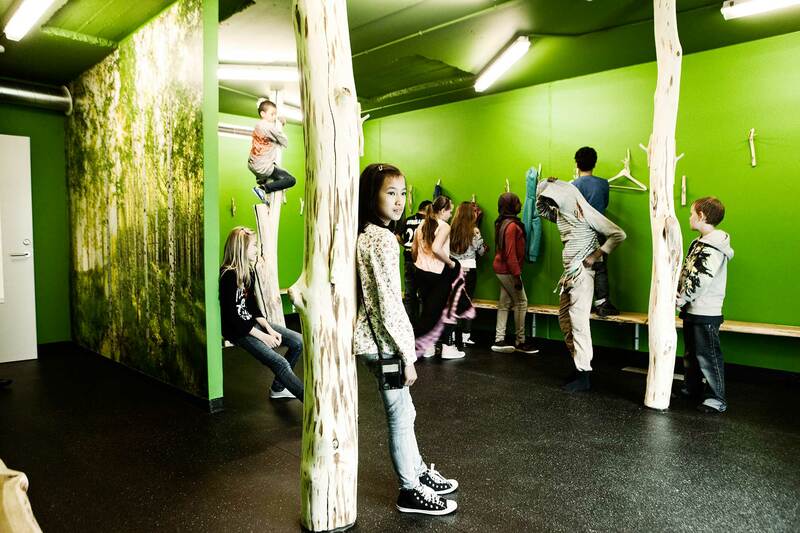 The new fitness and motor skills landscapes have opened the old hall up. 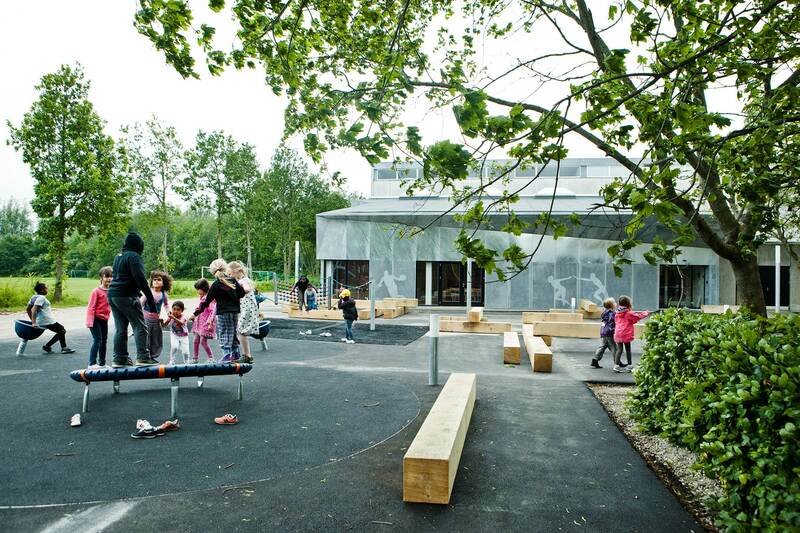 The users get a cohesive experience of the facility with the landscapes and the new extension connects the elegant hall, school and outdoor areas. 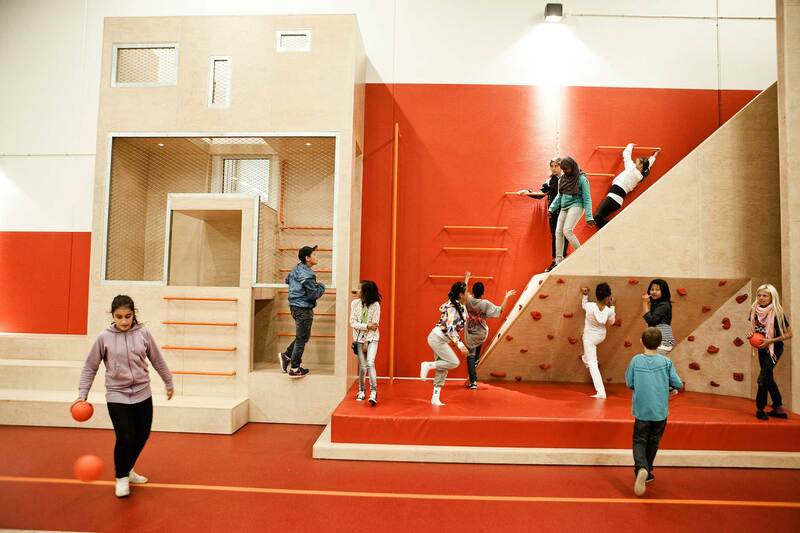 Users gather in the new café area before and after working out. 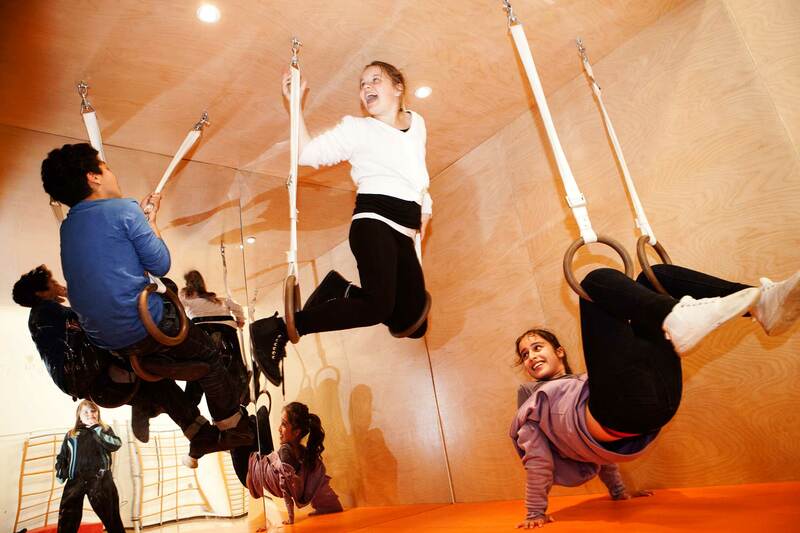 Tornhøj hall is buzzing with activity and everyone is welcome.